The sheer effort and enthusiasm on display from all the players and the coaches made this an unforgettable 2 days for us at EVO. Judging by the feedback so far, it was an unforgettable experience for our young future stars as well! Our youngest campers were just 6 years old and our oldest players were 17. Playing experiences ranged from complete beginner (never picked up a stick!) to junior international development level. At EVO we have been blown away by the levels of interest in the camp. Young players came from the surrounding areas, as well as further afield, including Essex, Bristol, Yorkshire, SCOTLAND...and even GERMANY!! I just wanted to say well done and a massive thank you. My daughter, Maddie Taylor (Mads) attended your camp last week and if I thought she was already in love with hockey, she’s now ridiculously besotted with it! The sessions with Maddie Hinch (her absolute idol) and Kirsty Mackay were spot on and the environment was brilliant. Mads was taught new techniques, given really useful analysis and feedback and even advice on sports psychology, to make her stronger in every way. 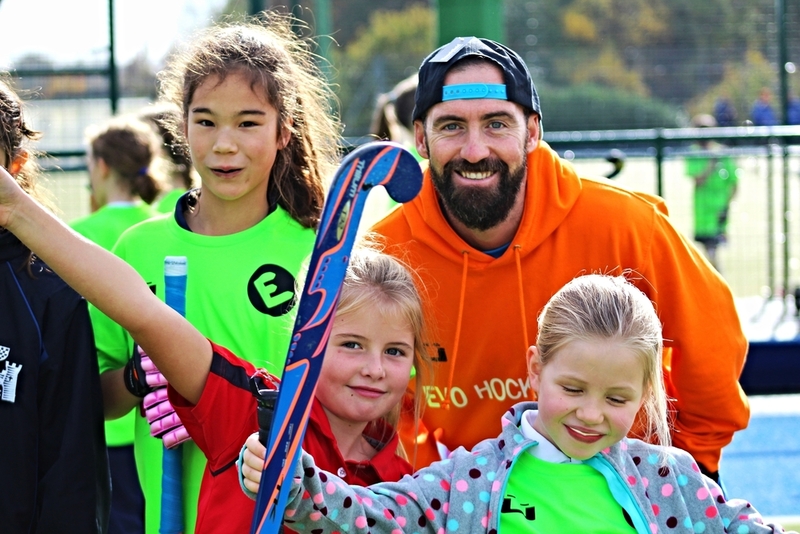 At EVO our aims are to engage young people in sport, enthuse and inspire them about hockey and give them access to a quality and variety of coaching, international styles and methods that they simply will not get anywhere else. No matter what you club, school or current ability, EVO wants to offer you top-class coaching in a fun-filled environment, to help you achieve your potential. EVO coaches win GOLD for Great Britain U21s at Sultan of Johor Cup!